Mary C Shaeffer reminds us that feeling uncomfortable when you give an employee bad news is about you, and that what they need is what you should be focused on. Which is to say, it’s not about you. Read for some very practical advice and a good head-straightening. 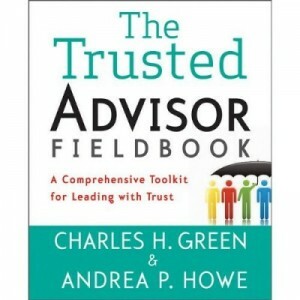 Ian Brodie walks us step by step through what is required to become a trusted adviser, starting with doing a good job at whatever you were initially hired to do, but moving far beyond basic competence. Joel Spolsky meditates on who employees eat their lunch with, and how cafeterias encourage or discourage people to eat together. Think it might have trust implications? Burson-Marsteller’s pan-European trust survey finds, unsurprisingly, that trust in business government has crashed since the financial crisis. Guess by how much for CEO’s, multinationals and government and then head on over and see if you got it right. 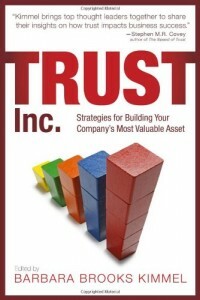 An interview with Microsoft’s Ross Smith keeps circling back on trust. How do you get the most out of your team? Research shows that staying loyal is good for your health, your creativity and your pocketbook. Read the ways, and why. And then note the caveat—when society lets you. J. Keith Murnighan and Li Huang ran an experiment called the trust game to try and figure out why we trust some strangers, like Bernie Madoff, virtually instantly. The conclusions from their trust game aren’t startling, but they are interesting. Does medical school make doctors less empathic? If so, does that mean we can trust them more, or less? Does objectivity trump empathy and caring? Cary Berglund and Julie Brayton report on a Pew study of Facebook and Trust. Quick, are Facebook users more or less trusting than the general population? Eric D. Brown writes on the corporate culture at RIM, maker of the Blackberry, who is currently having severe business problems. The first quote, from an insider, makes me think the problem is a culture where no one trusts anyone else. For a live stream of our trust research, follow our team on Twitter: @CharlesHGreen, @AndreaPHowe, @stewartmhirsch, and @sandystyer.